Oh my gosh! I'm in love with her work! 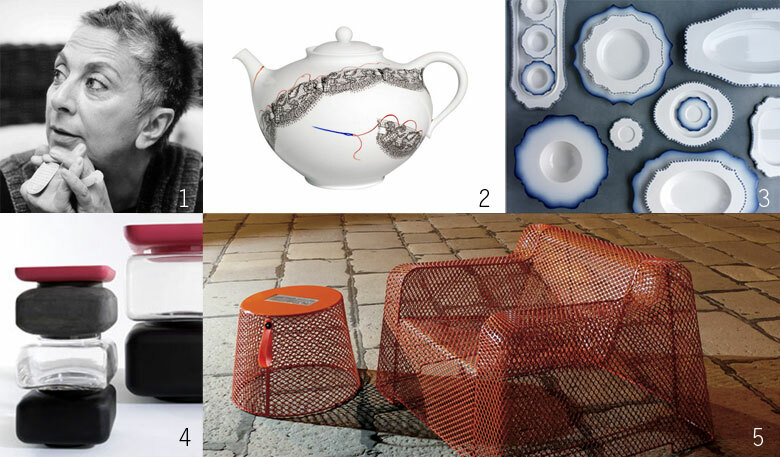 I've seen some pieces by Paola Navone before, which I loved, but had no idea who it was by. Only now that I am posting about a porcelain exhibit designed by her for Richard Ginori that I find out more. French concept store merci (wish I knew about this awesome store when I was in Paris!) approached Paola to create a limited edition collection of china for their store. She took china with imperfections at the Ginori factory and refurbished them into unique pieces. In April 2009, an exhibit in Zona Tortona in Milano featured these Imperfects, 1000kg of it, hanging with dramatic effects. Paola is definitely on my list of favorite designers, along with Patricia Urquiola. I aspire to be successful like them and to have a lovely shop like merci!